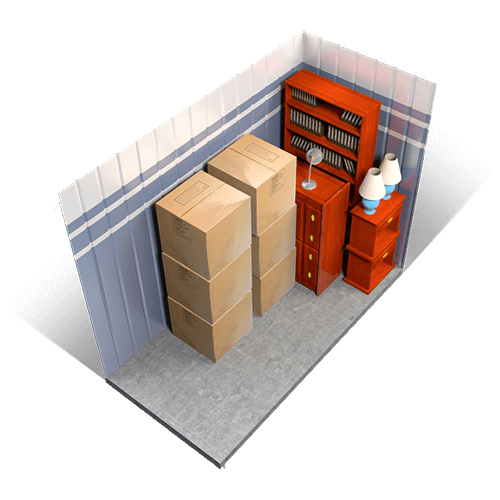 Choose the right room for your needs with our online storage guide. 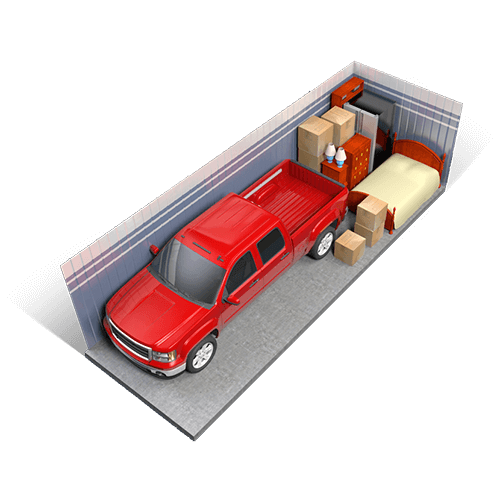 Storage units offered at 1st Choice Storage range in size from the size of a large walk-in closet – to spaces large enough to accommodate the entire contents of an average home. 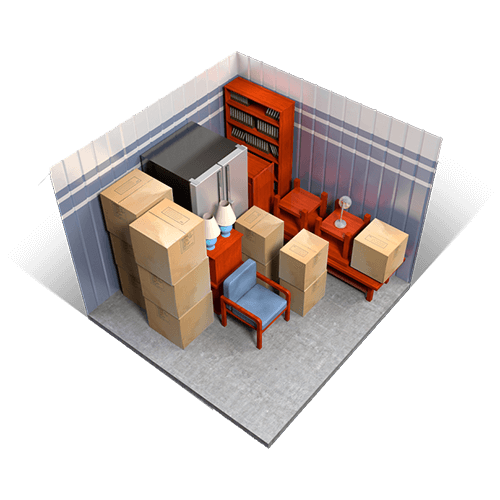 The following storage guides will provide information to help you determine the best room size for your storage solution. Easily holds one room of furniture. Great for storage of off-season items. Fits clothing, patio furniture or even your motorcycle. Perfect for storing 2-3 rooms of furniture. Extra width makes it easy to maneuver bulky items. Equivalent to half of a one-car garage. Equivalent to a full garage. This size holds 3-4 rooms of furniture. Great for car or business storage. 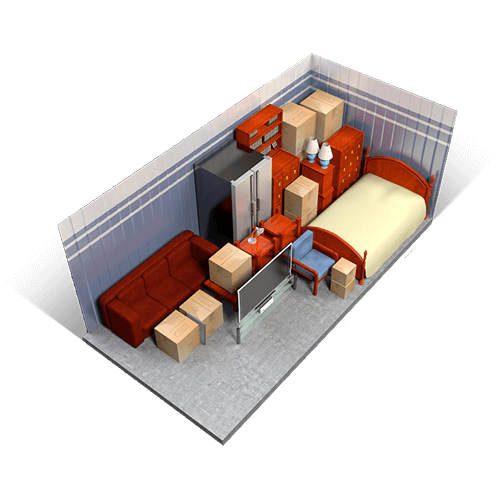 This room size holds furnishings of a four to five bedroom house, furniture. Great for car or business storage.